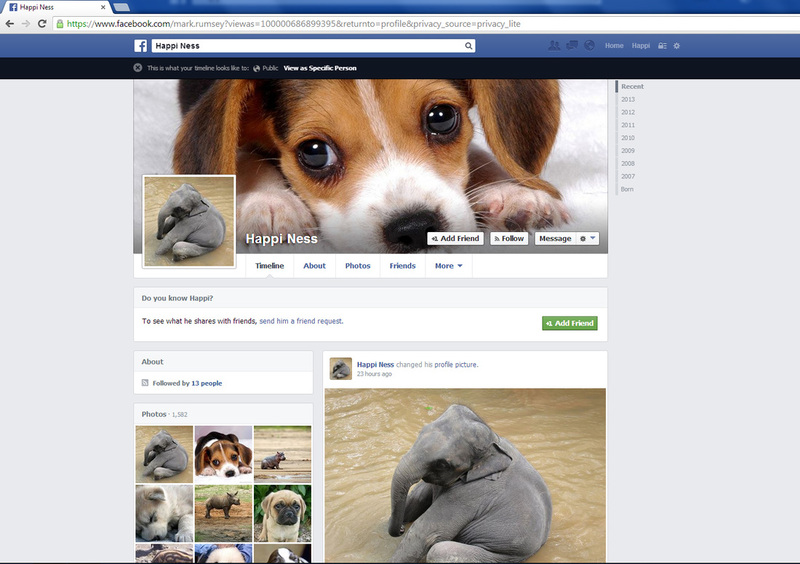 Trying to find purpose in my use of social media I have transformed my personal Facebook page into Hapi Ness, where I post pictures of baby animals. The images are gleaned from the web and re-presented on my page with some being made into limited edition transfer prints. 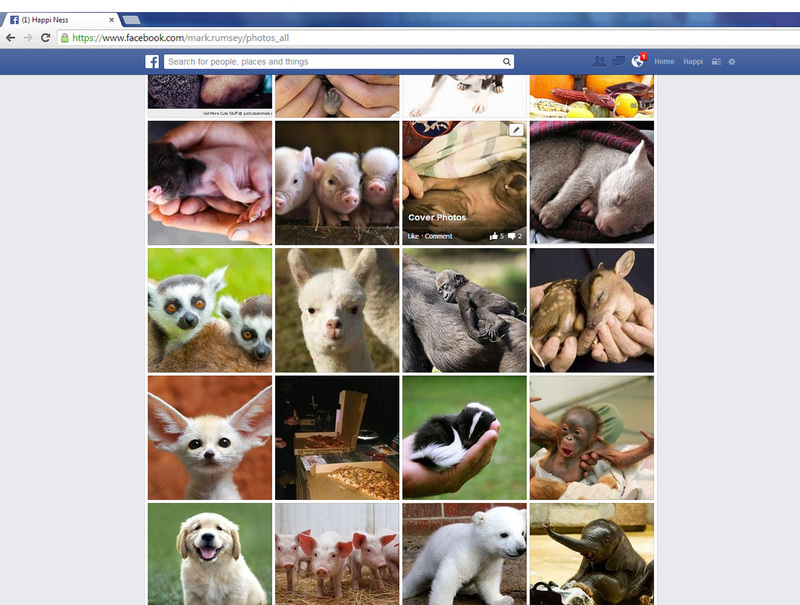 Everyday I post pictures of baby animals on the walls of the project's Facebook friends as birthday greetings. Research suggests that social media makes people less happy. 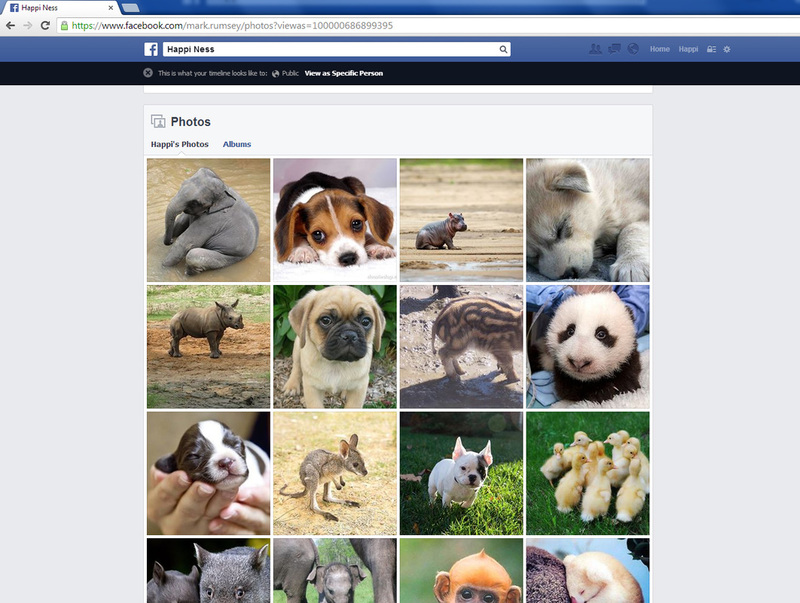 Research suggests that images of baby animals makes people more happy. 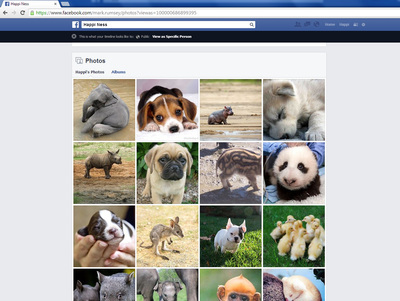 You can find the project archive by clicking HERE.